If the robotics world had a celebrity it would be Spot Mini of Boston Dynamics. Last month at the Robotics Summit in Boston the mechanical dog strutted onto the floor of the Westin Hotel trailed by hundreds of flickering iPhones. Marc Raibert first unveiled his metal menagerie almost a decade ago with a video of Big Dog. Today, Mini is the fulfillment of his mission in a sleeker, smarter, and environmentally friendlier robo-canine package than its gas-burning ancestor. Since the early 1990s, machines have relied on rechargeable for power. However these storage cells (inside most cell phones, and now Spot Mini) are dangerously combustible, easily degradable, and very expensive. One of the best examples of the instability of lithium-ion is the Samsung Note 7 handset recall after exploding units caused havoc to consumers. The design flaw ended up costing Samsung $6.2B and even prompted the Federal Aviation Administration (FAA) to issue an advisement after panic flyers saw cellphones overheat. 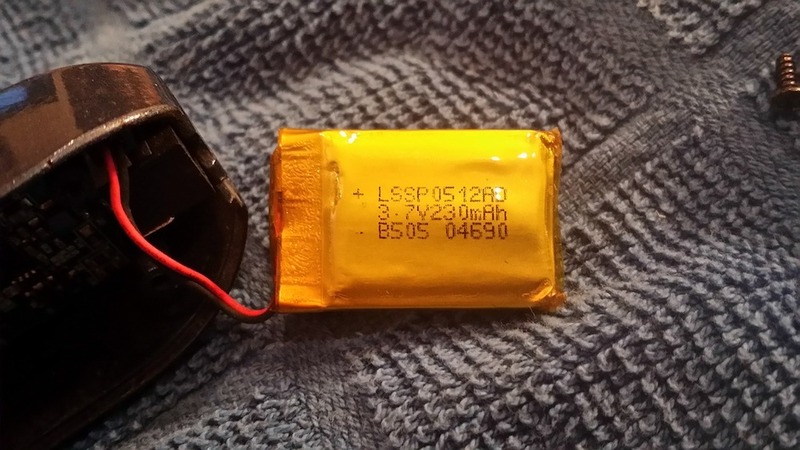 Exploding batteries are not limited to Samsung, but across the entire lithium ion appliance ecosystem, including e-cigarettes, hoverboards, toys, and electric vehicles. While Marc Raibert was showing off his latest mechanical creation, across the river in Woburn, Mass Ionic Materials was opening its new 30,000 square-foot lab. The hot startup grabbed headlines months ago with a $65 million venture capital investment from the new Renault-Nissan-Mitsubishi Alliance, Total Energy Ventures, and Sun Microsystems co-founder Bill Joy. However, the real news story is their revolutionary solid-state lithium battery technology that is cheaper, less flammable and longer lasting. The technology came out of the research of Dr. Michael Zimmerman of Tufts University that was originally aimed at improving the performance of existing lithium-ion batteries. Unlike lithium-ion batteries that contain the flammable liquid electrolyte, Zimmerman’s invention deploys a solid polymer electrolyte preventing short-circuiting. Ionic’s plastic electrolyte not only prevents explosive gases from escaping but enables the composition battery to be constructed with higher energy density materials, such as pure lithium anodes. The promise of Ionic’s technology helps alleviate “range anxiety,” the fear of running out of charge without a power source nearby. The future of robots, and especially autonomous vehicles, relies heavily on investments in infrastructure to rival oil. Today, it takes 75 minutes to fully recharge the 7,104 lithium-ion batteries inside a Tesla at one of its 5,000 supercharging stations, compared to 15 minutes at the pump at more than 165,000 gas stations throughout America. Realizing the shortcomings of switching to electric, Sweden is making country-wide investments to accelerate adoption. Last month, Stockholm opened the first stretch of roadway capable of simultaneously charging vehicles while driving. At the Robotics Summit in Boston, I spoke with Brenden Smerbeck of electric battery provider Acumentrics about the Swedish technology. Smerbeck explained that most conductive charging platforms similar to Elways speed the degradation of lithium-ion batteries. Israeli startup Phinergy offers an alternative to lithium for electric vehicles with their proprietary aluminum batteries that produce energy through a reaction between oxygen and aluminum using water. A few years ago, Phinergy powered a Renault car for over a thousand kilometers with just tap water. Now the company has partnered with Chinese-based Yunnan Aluminum to begin manufacturing batteries to meet China’s growing electric automobile market. According to the press release last month the joint venture “will introduce the world’s leading aluminum-air battery technology, relying on [Yunnan Aluminium’s] green and clean water and aluminum resources.” The statement further detailed that the initial annual output will be 2,500 units. Phinergy’s website promotes wider uses cases, including industrial robots and other unmanned systems. China has been leading the world in alternative energy development. Last year, Pittsburgh-based Aquion was acquired out of bankruptcy for $9.16 million by Juline-Titans, an affiliate of c. Aquion, a once high-flying startup that raised more than $190 million from such notable investors as Bill Gates, Kleiner Perkins Caufield & Byers, and Nick and Joby Pritzker, is now in the process of moving its operations to Asia. Similar to Phinergy, Aquion utilizes the most renewable of resources, water. Their patented “Aqueous Hybrid Ion” technology is able to create clean energy using sea water. However, it comes at a cost of weight: unlike lithium batteries that are light enough to fit in one’s pocket, salt-water fuel cells are considerably heavier. The company’s products are uniquely positioned to be utilized for future power grids, with the promise of weaning the world off fossil fuels.